If you’re like most people, investing in your home will be the single largest investment you make in your lifetime. This fact alone can often lead to a stressful and taxing home buying experience, especially for the inexperienced or unprepared. However, with Due Diligence, a Good Mindset, and most importantly the Right Qualified Representation, you will be able to navigate the home buying process like a professional, leaving that unneeded stress behind you. Keeping the following tips in mind will assist you in making the right investment in not only your home, but your family and future as well! Take the time up front to clearly define your needs and wants – how much square footage, do I need a fireplace? More than one buyer has been swept up in the emotions and excitement of the home buying process, only to find they are not qualified to purchase the home. Take the time to get ‘Pre-Qualified’ before you start looking. It’s FREE! “Fixer-uppers” – really means fix it up! Expect the worst in a vacant home, don’t expect every seller to own up to every physical or mechanical defect that will need to be attended to. Both a buyer and a seller are out to maximize their investment. Ensure that you conduct a thorough inspection of the home early enough in the process. Thorough planning in the beginning stages will help you to greatly reduce stress later in the home buying process. Get ‘Pre-Approved’ first! It’s fast, easy and best of all – FREE! It will give you peace of mind when shopping for your new home. 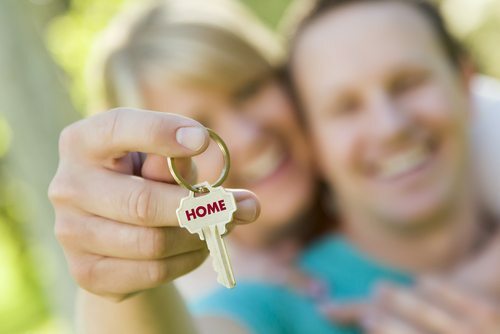 When you have pre-approval, you can shop for your home with security and leverage – having taken that step, shows a seller that you are ready, willing and able to proceed. Know how much you can comfortably afford. Don’t forget to estimate taxes and insurance with that amount. Since buying a home is a long term commitment; you should consider what kind of mortgage best fits your needs. Your local bank or trusted Mortagage Officer can tell you about VA loans, FHA loans, conventional loans, rates, points, etc. It’s best to have this information prior to your home search. Finding the right home is a job that demands the help of a professional.